I’ve gone and disappeared for too long again! I really want to get back to writing and connecting here regularly. I have to figure out a way to make it work again! So in an effort to quickly catch up in a tiny way, here are 10 random things we’ve been up to lately! Toria is currently in Oregon, visiting friends. 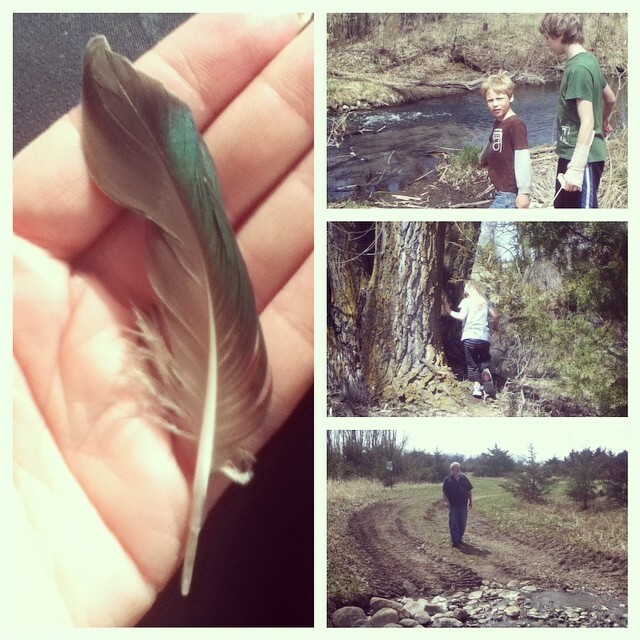 The youngest three kids, Daryl and I went looking for morels at a nearby nature area today. We figured it was too early (it is) but we wanted to check. One good rain and they should pop! Fiona, Alex and I went to Tiffany’s for a getaway. They had the flu and we came back the very next day. It was a very long drive for a very short trip! 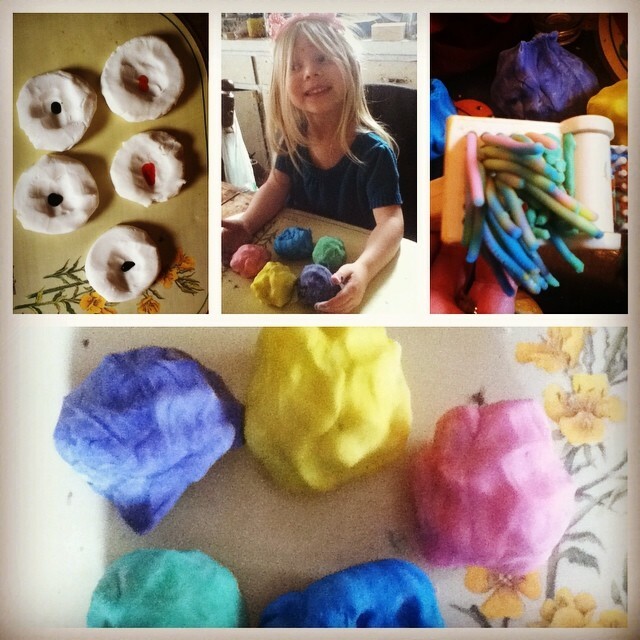 We made easy gluten free playdough. Easy recipe: 2 cups baking soda, 1 cup corn starch, 1 1/4 cups cold water. Stir over medium heat until thick, turn onto a surface until cool enough to handle (covered with a damp cloth so it doesn’t dry out), divide into balls and color. I may add a touch of oil next time, but it’s a very nice dough. Keep it in the fridge to last longer (in a baggie). Toria now has a longboard and has been riding it quite a bit. Alex was bit by the neighbor’s dog, which caused the neighbor to feel understandably bad for him and ask what sorts of things he liked. I said he liked anything, even rocks, but that he is particularly fond of Snap Circuits since he loves science and building kits so much. She surprised him a few days later with this massive motion exploration kit. He literally jumped up and down and shrieked quite a bit, and has spent many hours building movable creations (ones suggested in the kit and ones he’s created himself with it). He recovered quite well, incidentally. We have been doing lots of work on the yard and gardens now that spring is here. It’s so nice to be around green and dirt again! The younger kids have been doing online educational games for some homeschool fun. Fiona and Daddy play on Teach Your Monster to Read and the boys play on Prodigy for math, both of which are free. We’ve been playing lots of board games, card games, dart games and other real-life games, too. We got an electronic dart board at a thrift store and we’ve all had a blast playing it, but it’s also been good for math. We play 301 most of the time and you have to end up exactly on 0 to win, which means that the kids frequently have to figure out which combinations of doubles and triples would help win (like triple 17 if you’re down to 51 and have only one toss left, for instance). Unfortunately, the flu has also invaded (we brought it home from Tiffany’s), so I have to go back to snuggling a little four year old who is not fond of being sick. She announced today that she doesn’t remember ever being sick before and she is quite over it! I’m dosing her up with elderberry syrup to kick it fast. I swear I’ll be back soon! This entry was posted in Alex, Children's health, computer & programs, Daily log, math, nature, pictures by Alicia. Bookmark the permalink. I love the ten things we’ve been up to posts 🙂 Snapshots are always a fantastic way to keep on blogging and keep everyone updated! I love the idea of using the dartboard for math. 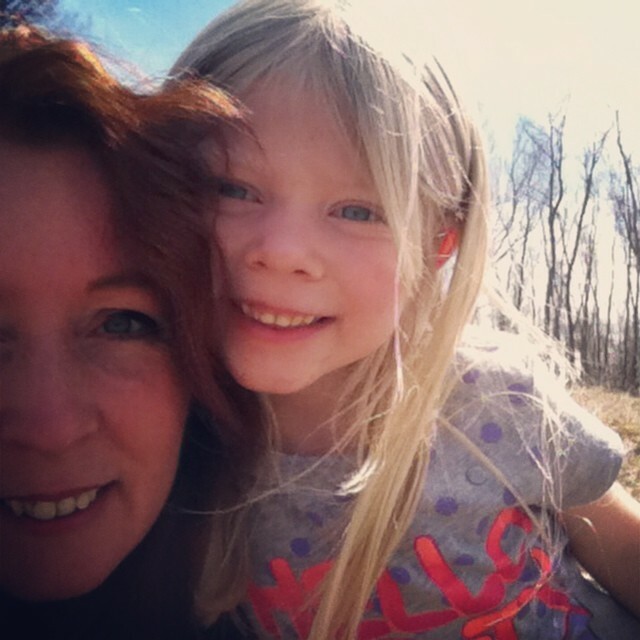 My girls are too young yet but I have one stored downstairs and will definitely be bringing that up some day!